New York Gov. Andrew Cuomo announced Tuesday that he has banned publicly-funded, non-essential travel by state agencies to Indiana, joining the raging national outcry over the state's new "religious freedom" law, which critics say could open the door to legal discrimination against LGBT people. "Today, I direct all agencies, departments, boards and commissions to immediately review all requests for state funded or state sponsored travel to the State of Indiana and to bar any such publicly funded travel that is not essential to the enforcement of state law or public health and safety," Cuomo said in a statement. "The ban on publicly funded travel shall take effect immediately." Cuomo's order comes in the hours after a handful of out LGBT New York lawmakers sent a letter to the governor, strongly urging him to institute a travel ban similar to those instituted by Washington State Gov. Jay Inslee and Connecticut Gov. Dan Malloy. In the letter, Sen. Brad Hoylman and Assemblymembers Deborah Glick, Daniel O’Donnell, Harry Bronson, and Matthew Titone said the Indiana law, signed by Gov. Mike Pence, is “uniquely abhorrent and alarming." A growing number of critics -- from LGBT advocates in Indiana to NASCAR to CEOs at major corporations, like Apple's Tim Cook -- fear the law, or the Religious Freedom Restoration Act, would allow businesses in the state deny service to LGBT people. Gov. Pence, a Republican, has insisted that the law doesn't give anyone in the state a "license to discriminate" against LGBT people, but caved on Tuesday and called on state lawmakers to pass an amendment to the law by the end of the week, clarifying that it will not permit discrimination, according to a report by the Indianapolis Star. 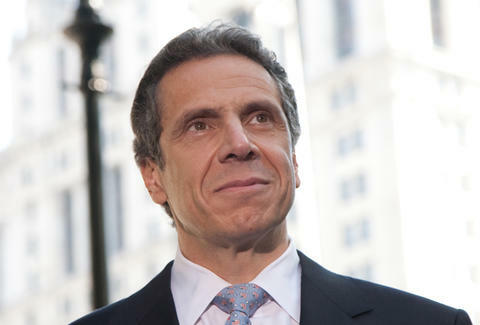 "New York State has been, and will continue to be, a leader in ensuring that all LGBT persons enjoy full and equal civil rights," Cuomo said in a statement. "With this action, we stand by our LBGT[sic] family members, friends and colleagues to ensure that their rights are respected." On Monday, New York City Mayor Bill de Blasio decried the Indiana law as "disgraceful." Tony Merevick is Cities News Editor at Thrillist and wonders why people would want to travel to Indiana anyway. Send news tips to him at tony@thrillist.com and follow him on Twitter @tonymerevick.